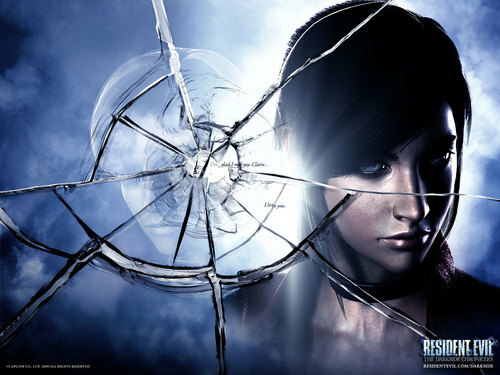 Claire redfield / Darkside chronicles!!. . HD Wallpaper and background images in the Resident Evil club tagged: darkside chronicles new!!!. Beautiful Miss I Loves You! Yor Pictures are off the hizzle! Rock on B, Rock on! wh's that man behind her?the one behind the cracked mirror?